A number of years ago I was teaching music in the public school system. I had several choirs. One of them, a medium-sized high school auditioned choir (45 members), rehearsed with me once a week for two hours. 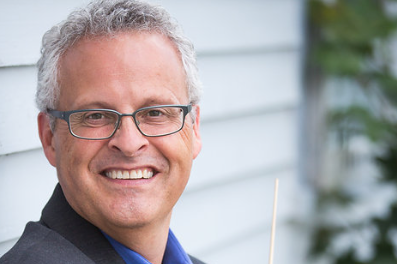 Another was a smaller jazz choir (20 members), which rehearsed twice a week, but only 35 minutes per session — roughly half the amount of rehearsal time the other choir received. Most the members of my jazz choir were also members of the high school auditioned choir. But here’s the curious thing: the jazz choir, with its approximately one hour of rehearsal time per week, learned music quicker, and retained more, than the larger choir which had about double the rehearsal time. Education theory tells us that, most of the time, breaking one large task into several shorter sessions results in a more effective use of time. The longer we spend on any one task, the more we tend to succumb to boredom, and the less efficiently we work. I would make the case that the same holds true for songwriting sessions. I really believe in scheduling your songwriting as a way of making sure that you give it the attention it needs in order for you to improve. But a problem can when you set aside one large chunk of time per day: you become less efficient, your thinking slows down, and important abilities such as retention and creative thinking can diminish. 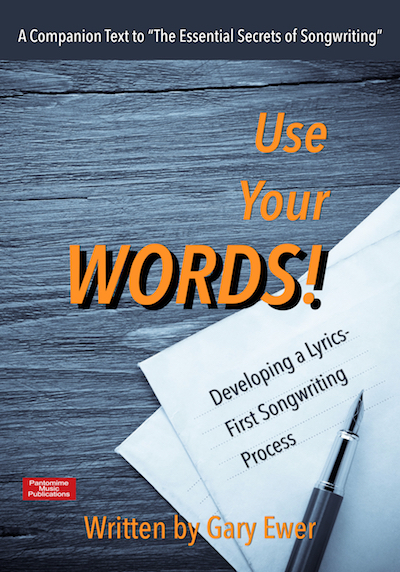 If you’re in the process of working out a songwriting timetable for yourself, try to schedule a couple of shorter sessions per day, rather than requiring yourself to work for one long session. Or simply shorten your existing session and take up the task the following day. you make it more likely that you will stay focused on your creative tasks for that songwriting session. 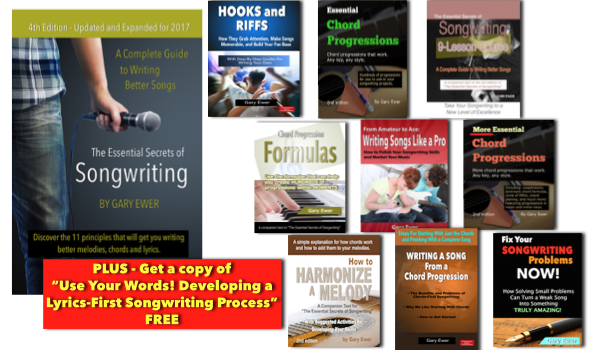 Working out your songwriting schedule is a highly individualized task, and it may take some experimenting. 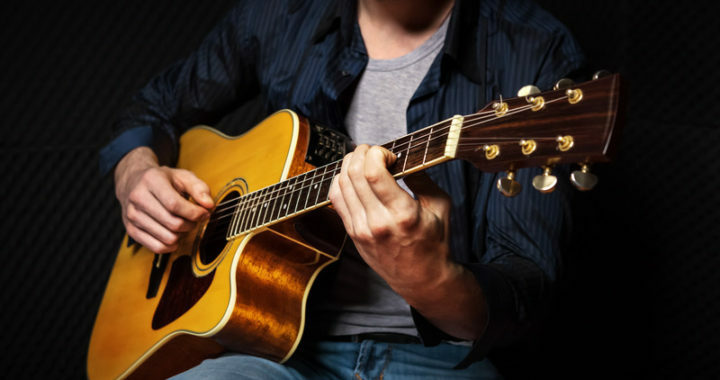 You might find that 2 short sessions in one evening, with an hour-long break in between, feels right, while other songwriters might need longer breaks. In fact, you may find that making the best use of your time means having one short session per day, with many hours of downtime in between. In the study referred to in “The Science of Studying”, scientific experiments revealed that a 1-day break was optimum. If you’ve been doing all your songwriting in one long session per day, the 1-day break simply means that you should simply shorten your session. How short? When frustration begins to set in, you know it’s time to give yourself a break. What I found with my jazz choir is that they learned faster, and retained more, when they had two 35-minute rehearsals. The 2-hour rehearsal was generally less effective, certainly after one hour of work. 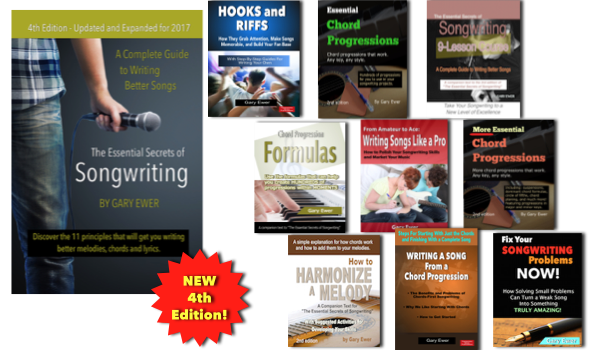 Each eBook in “The Essential Secrets of Songwriting” 10-eBook Bundles shows you the fundamental principles that make great songs great. 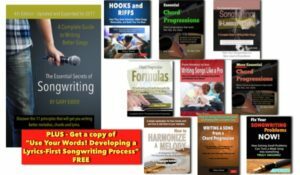 Posted in songwriting, Writer's Block and tagged creativity, experiment, frustration, music, plan, retention, schedule, session, shorter, songwriting, study. Learning an instrument is a great first step to getting the music that’s in your head heard by others. 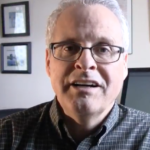 The better you are with your instrument, the better you’ll be able to communicate those ideas. Learning music theory is also a very good step to take, because theory has more to do with communicating musical ideas than practically anything else. There are many songwriters who don’t read or write music, and they use their instrumental abilities to convey their melodies, etc. 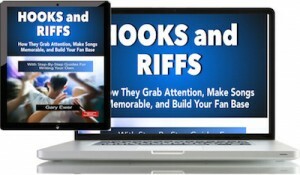 My ebooks are written to be understood by songwriters whether they read music or not. 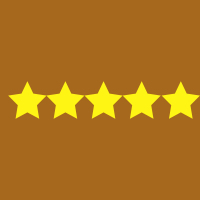 Their biggest benefit comes from the fact that you’ll learn a lot about how and why good songs are good, and they give you literally hundreds of examples of songs to facilitate your learning. My “Easy Music Theory” course is a video-based course in the rudiments of music that I think you’d find helpful as well. The best thing to do at this moment is to study a bit of theory and definitely keep playing guitar, and do whatever you can to learn as many chords as possible. Hope this helps, and all the best to you Alan!